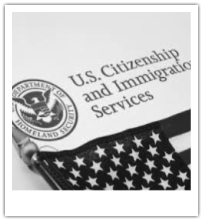 By providing ESL services to students through a creative conversational style, and in a supportive community environment, ELPW has helped many of our clients develop the confidence and literacy skills to achieve citizenship through the naturalization process. Rosalina Velasquez, is one such student who, after attending 124 classes with ELPW, was sworn in as a United States Citizen at the Milwaukee County Courthouse in 2012. We congratulate all of our students who have achieved this milestone!